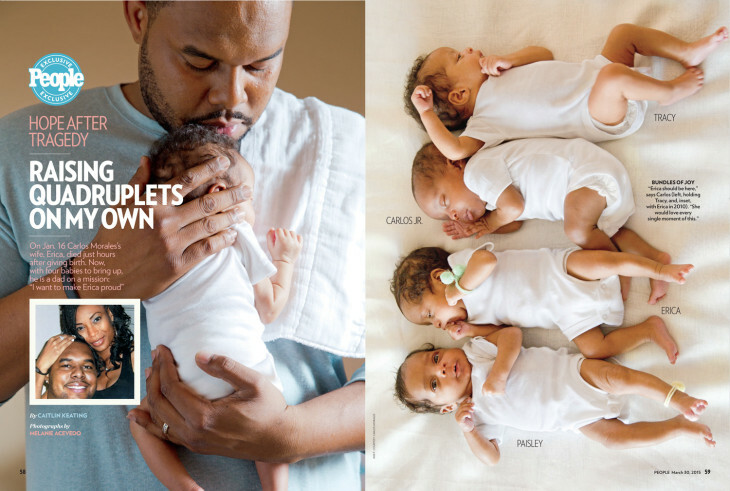 After Carlos Morales and his wife, Erica, struggled for years to start a family, the birth of quadruplets brought what he called “the best day of my life.” But then, in a tragic twist of fate, heartbreak followed joy: Erica died after childbirth. 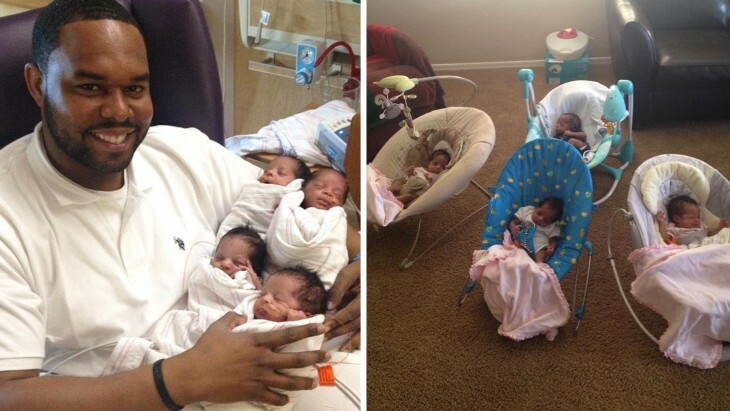 Now the Phoenix, Arizona, father is raising his four children — three girls and one boy — on his own. People magazine, which originally reported on Morales last week, provides an update in this week’s cover story. Two of the babies came home with Morales, 29, shortly after they were born in January. The remaining pair joined the family last week. Erica’s mother, Sondra Bridges, has since moved in with her son-in-law to help take care of the babies: Tracy, Paisley, Erica and Carlos, Jr. Like Morales, she also expressed gratitude for the support the family continues to receive. The quadruplets were born via C-section on January 16. But then Erica, still under anesthesia, soon went into a hypovolemic shock, an emergency condition involving massive blood loss. She died within hours. Despite his grief, Morales told the magazine he remains steadfast for his children. “These babies don’t know yet what blessings they have given me. They have given me four reasons to live,” he said.